This is the first book in a series of suspenseful detective novels highlighting Jason Hammond, an independent billionaire sleuth with a propensity for justice. In this story Hammond is contacted by the daughter of the infamous Babushka Lady of the JFK assassination (Sheila Baker), who needs help after discovering her late mother’s secret, and a tape of the assassination portraying a second gunman. In Hollywood-worthy form Hammond and Sheila run from the bad-guys, while picking up clues to the truth behind the crime that must be made public. This is a completely fictitious rendition of the events surrounding the JFK assassination, but very entertaining. Wil Mara actually did a good deal of research surrounding the conspiracy theories, but writes–not in accordance to his own views (he believes Oswald was the sole shooter)–but as he imagines would be most exciting for a narrative. The result is an absorbing novel with well-developed characters, electrifyingly cunning scenes of discovery and escape, and just enough real history within the setting to ground the account as a realistic illustration. The second book of the series, The Nevada Testament (Summer 2014), will bring a completely different mystery from the same loveable detective. I appreciate series like this that draw from familiar characters while having a story all their own. 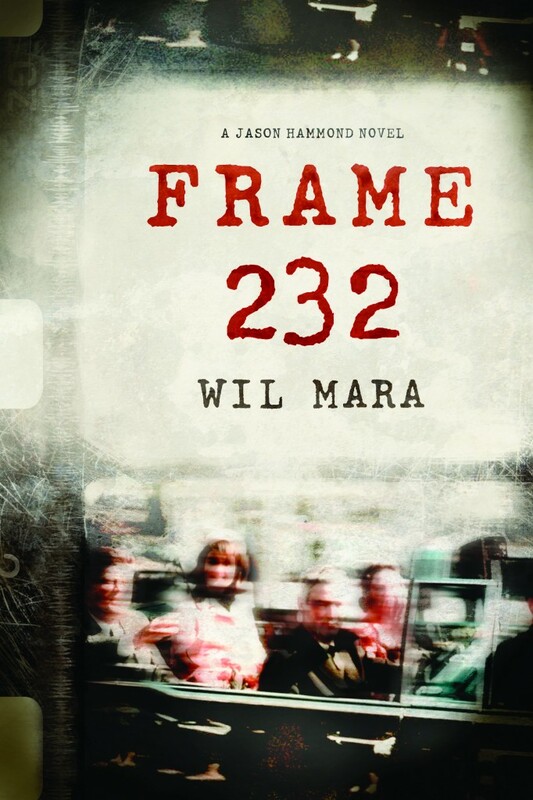 For more information on Frame 232 check out this Q & A with the author, and the official book trailer on YouTube.